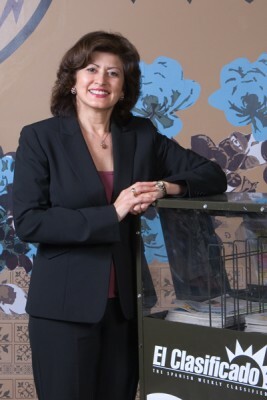 Martha De la Torre’s mother was against the idea of her daughter being an entrepreneur. Elvia De la Torre grew up in Ecuador and, along with most of the other girls in her class, was taken out of regular academic schooling at the age of 12 to learn how to sew. She had to support her family, and at age 14, Elvia rented a space next to her uncle, who was a tailor, and across the street from the maternity ward of a local hospital. Her idea was to design clothes for newborn babies. Elvia would hang her little tailored suits along the storefront, and people who were visiting the new mothers would come and buy her clothes as gifts. Years later, Elvia moved to Los Angeles, sewing at a garment factory, and later, enjoyed better job security working for Mattel. But Elvia remembered struggling to make a living as an entrepreneur in Ecuador, and she didn’t want that for her daughter. She wanted Martha to have security in a profession that wasn’t dependent on how much she sold every day. Elvia didn’t even tell Martha that she had once owned her own business until a few years ago, more than two decades after the launch of El Clasificado. De la Torre spoke to an attorney, came up with a business plan, and partnered with her then-future husband, Joe Badame, to start El Clasificado in 1988. The first day De la Torre opened her office, her mother showed up with a little briefcase, ready to work. De la Torre remembers asking her mother why she was there. “As a former CPA, your mother doesn’t typically come to work with you,” says De la Torre. However, as it turned out, Elvia knew what her daughter needed and knew how to start from scratch. And when the business was struggling, Elvia kept El Clasificado alive while De la Torre and Badame looked for other sources of income to fund the business. How to fail, De la Torre insists, was of the most valuable skills she learned. She developed the motto “fail fast and change it.” Badame and De la Torre learned that home delivery was too expensive with shipping costs. They tweaked it, and the company has been on the cutting edge in technology usage and innovative strategies ever since. Since 2000, De la Torre has been faced with two challenges: trying to predict when the Spanish-speaking community will stop speaking Spanish, and learning how to adapt with competition from Facebook ads and websites such as Craigslist. Fortunately, El Clasificado started with a strong digital strategy. El Clasificado was among the first 100,000 websites in the world in 1996. It wasn’t until 2006 when print revenues started officially declining, that she realized she needed to invest more in the existing digital side of the business. El Clasificado is now a leading Hispanic digital-publishing company. Instead of competing with the Facebooks and Googles of the world, El Clasificado looks at how to partner with those new offerings to help their clients benefit. They’ve managed to grow in the shrinking print age by marketing to small-scale business owners—the handyman, the painter, the real estate agent, and the property manager. Though they have quite a few big-name clients as well, it’s a major priority for El Clasificado to earn the trust of smaller businesses. Technology plays heavily into that strategy because easy-access connectivity better serves those smaller-scale clients. As their company has grown, De la Torre and Badame have launched an English version of their publication, EC Classifieds, and intend on expanding the online version into other cities in North and South America. Throughout extreme highs and lows in being an entrepreneur, De la Torre has been grateful to her parents and her husband. Her parents made sure she had an education so she could have the privilege of choice. De la Torre’s husband’s patience for her entrepreneurial ideas is the reason why the company exists today. “He stood by me and helped fund the business even when he wished I hadn’t started it,” says De la Torre. Though she once wanted to retire at age 55, De la Torre doesn’t see that happening. Her biggest fear in life is not leaving a healthy company for the next generation of management. She wants the next generation of the company to have both stability and great opportunities for growth with what she created. De la Torre wants to leave a succession team in place who can take the company and double its size. Her goal at this level of success is to leave a lasting legacy that benefits the next generation. Who would you like to have as a dinner guest? My answer to this question will change day-to-day, but today I would say Condoleezza Rice. I wish she were running for president. What do you typically do on the weekend? I’ve only just started to realize in the last few years that it’s OK to not have anything to do on a Saturday. Before, I would feel it was wrong of me to not be doing a project, or be obligated to do something. Now, I think it’s important to have several days a month where you don’t have to do anything. I spend time with my husband. I read a book. It’s even fine to lie on the couch all day. Ultimately, you have to have balance. I make sure to spend time with my family and carve out time for vacations. If you didn’t end up an entrepreneur, what would you have done? I actually wanted to be a dancer and I even had a scholarship to UCLA dance, but I ended up going to Loyola Marymount to major in accounting. I loved dancing, though. My dad, Bolivar de la Torre, taught ballroom dance when he came to the US. Would you change anything about the way you were raised? I wish my parents had encouraged physical education as much as academics. I was afraid of balls, so much so that I couldn’t participate in team sports. Later on, it was difficult working on teams in a professional setting. One of my college professors actually pulled me aside once and told me I had a problem working on teams. I liked working by myself. I didn’t have any sisters, either, so I wasn’t naturally good at sharing. I think I’ve become very good at it in our company, but it took me a while. What’s the one award you’re most proud of? Joe [Badame] and I were finalists for entrepreneurs of the year. I’m really proud of that because it distinguished us as successful business people—not just me. I’m often recognized with awards for being a female or a minority business owner, and I feel like my husband doesn’t get the same recognition even though he’s the cofounder and it’s a collaborative effort. Travel! My dad gave me the travel bug when I was younger by taking me to Europe as a teenager and to Ecuador. In recent years we’ve been lucky to travel through El Clasificado, but I would love to take a vacation and see more of the world. Joe and I are going to Finland and the North Pole later in the year. Professional success is not about money; it’s about coming to work and being happy every day. 2. Envision what success means to you and ask yourself: What do you want? Do you want to have a family? In what ways will you and your spouse support each other’s professional goals? Do you want to travel? How will that fit in with your career goals? I originally very much wanted to have children and we tried very hard before giving up. In the end, it would have been extremely difficult with what we were trying to accomplish with our business. It’s really important to consider those aspects of life. If you really want to be an entrepreneur, will your family support that goal? What will they expect from you that might take you outside of your professional life? To be blunt, if they expect you to be home by 5 p.m. every day, the entrepreneurial life might not be possible. You have to be there for your creation, through thick and thin. A positive spin will get you through anything. I’m so lucky my parents made sure I got an education, because it gave me the freedom to choose my own path. Take advantage of your opportunities for education and leverage those opportunities to make the most of your potential.